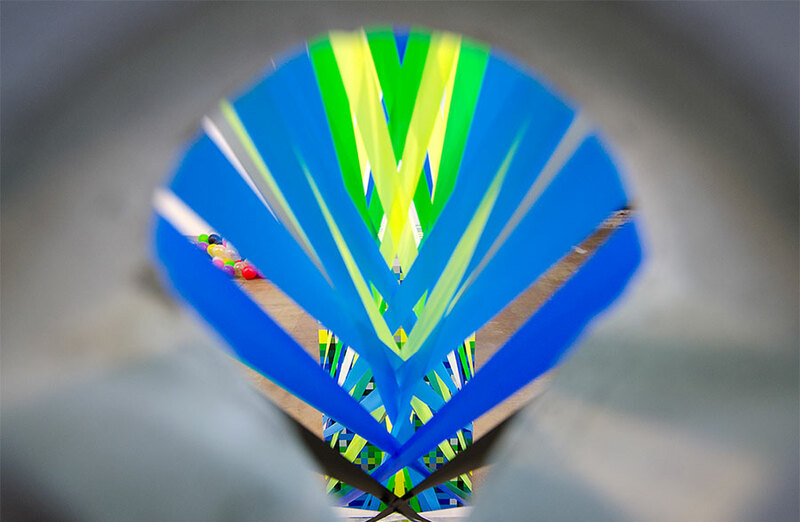 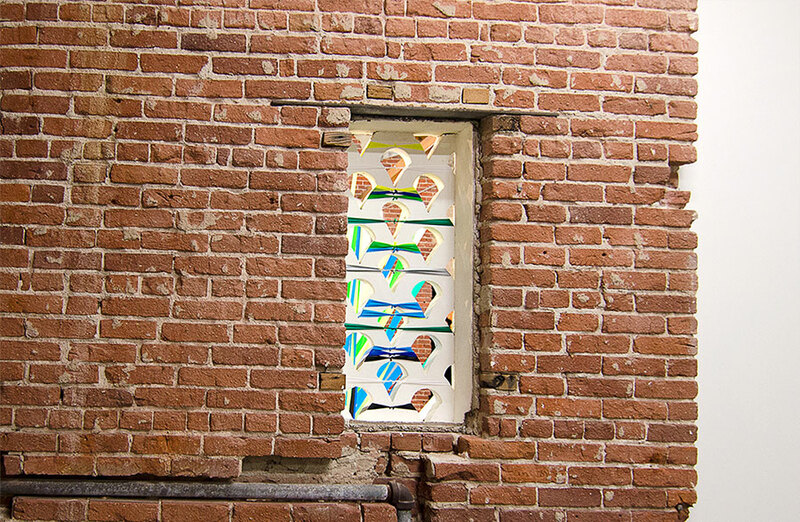 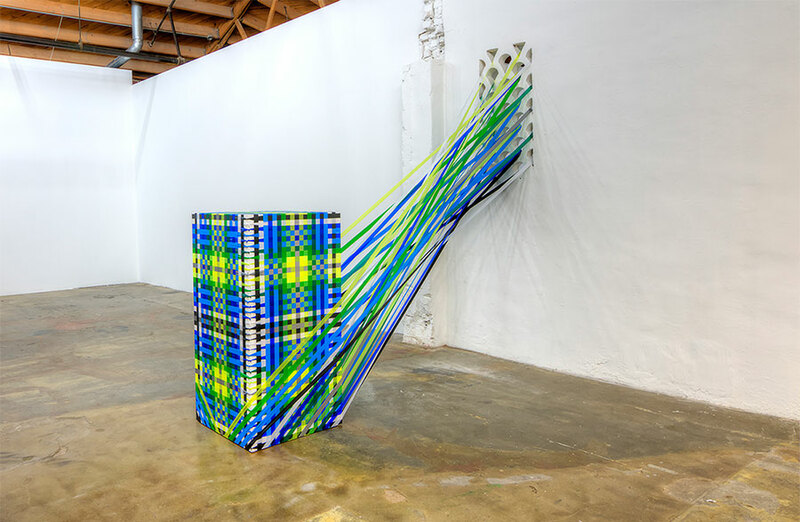 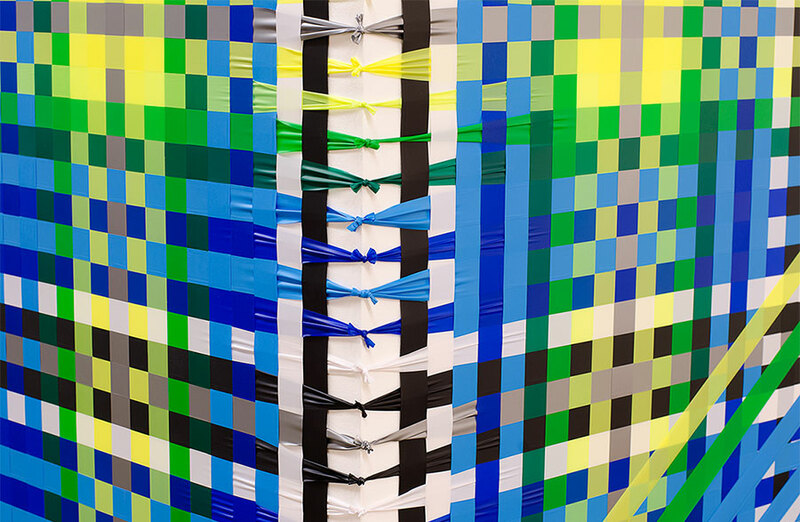 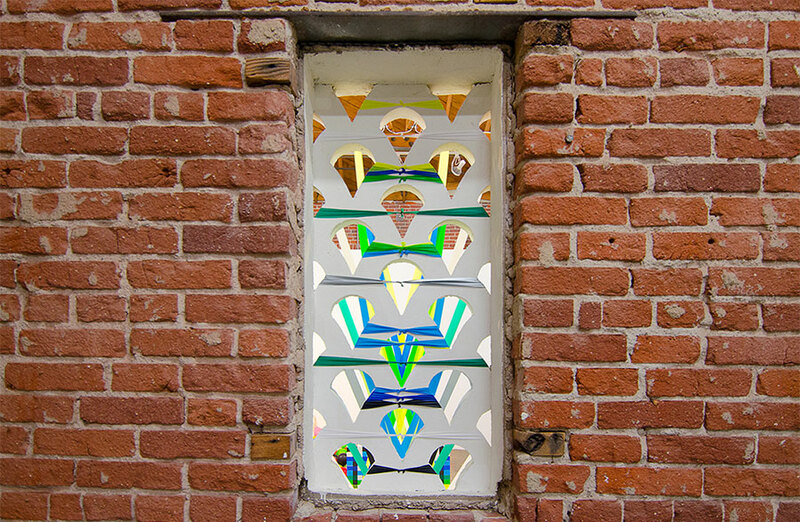 Using a concrete brick cutout window as a point of departure and inspiration, strands of the flagging tape from the base of the pedestal are connected in a crisscrossing pattern and tied to the lattice cut out on the other side of the wall. 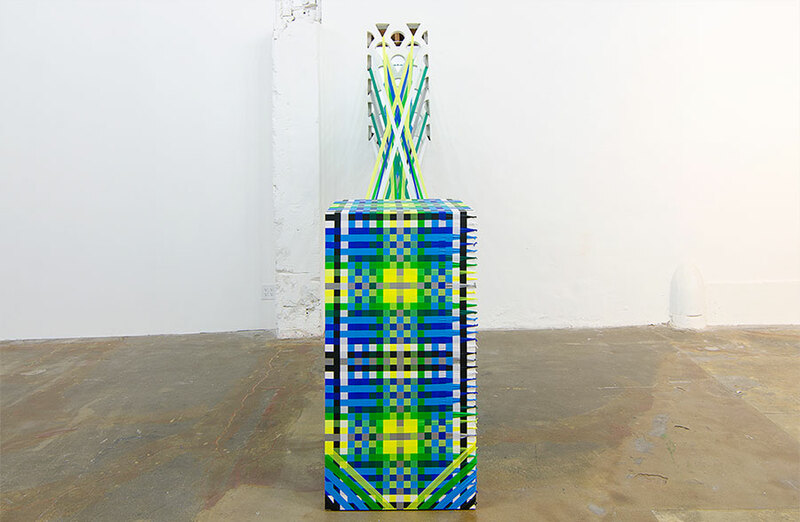 The pedestal is wrapped in a two-dimensional version of this pattern on all visible sides. 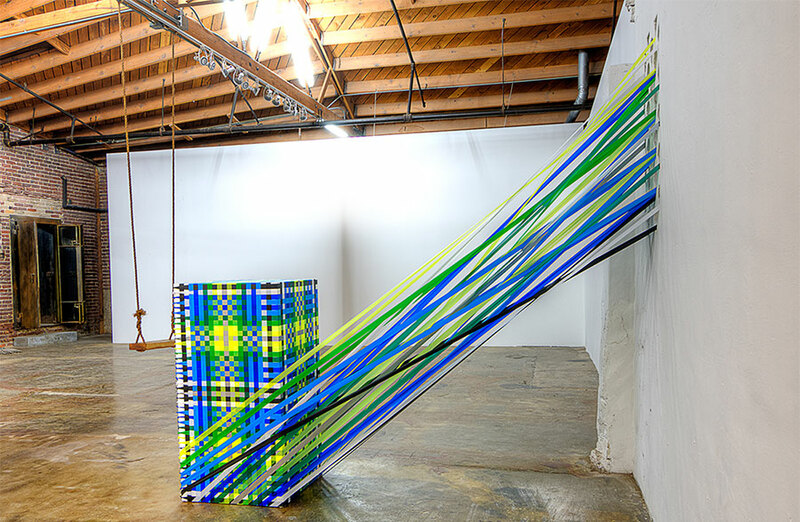 Megan Geckler “Chop down your master plan in nanoseconds”, ©2015 from Megan Geckler on Vimeo.